Whenever someone mentions Molton Brown, my mind immediately jumps to the most luxurious shower gels and moisturisers available. But who knew there was a huge selection outside of the shower? I certainly didn’t, so when a rather beautiful little pink box popped through the letterbox I was both intrigued and very excited! 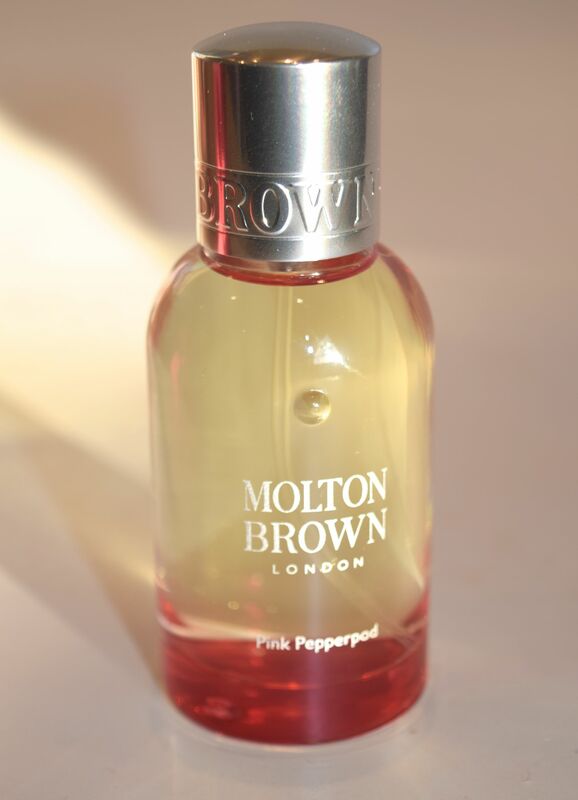 Described as a spicy pink peppercorn fragrance, Pink Pepperpod is my first foray into Molton Brown’s fragrances. I think I fell in love with the Eau de Toilette before I even opened the box. I just adore the beautiful pink box – perfect for a gift don’t you think?! 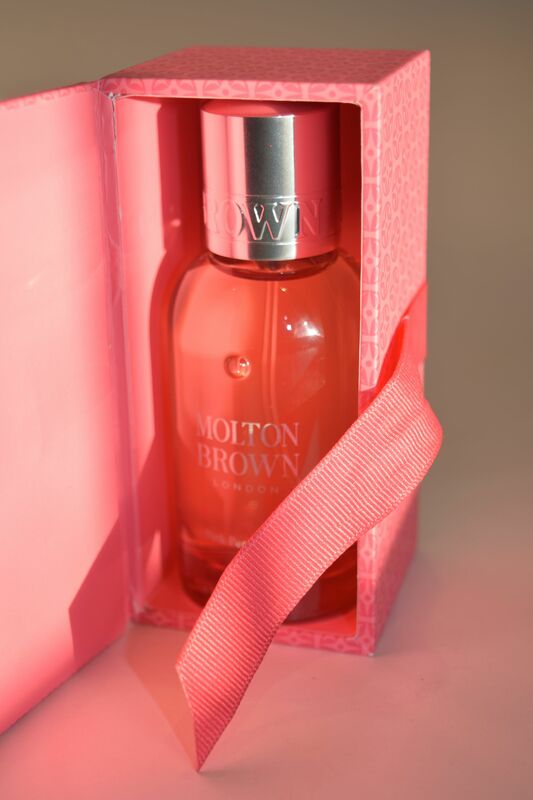 Packaged like one of their bath products, Molton Brown’s Pink Pepperpod Eau de Toilette is a perfect Spring and Summer fragrance. When first applied, I immediately get the top notes of Pink Pepper and Tangerine. It’s definitely a grown-up way to enjoy a fruitier fragrance, and whenever I spritz it, I feel like I should be relaxing on a beach somewhere tropical. Once the fragrance warms up on my skin, the sultrier notes start to become more noticeable. I love the way that the Patchouli and Cedarwood Oil interact with the Ginger Oil and Nutmeg. The result is surprisingly complex, and very exotic. It’s one of those perfumes which I just can’t stop smelling on myself! It has the perfect amount of silage too; it seems to just swirl around you rather than fade away like some of my fruitier scents tend to do. I also just love the fact that the scent is also available in everything from shower gel to candles, so it’s such a lovely way to enjoy the fragrance. 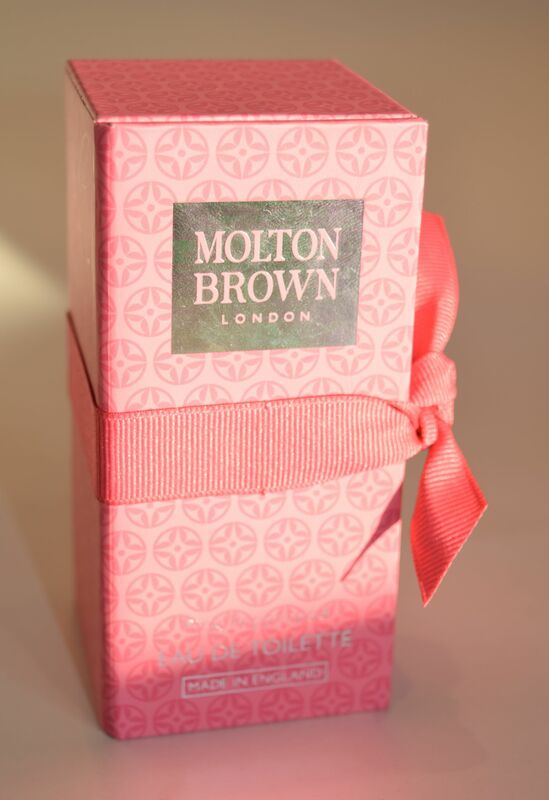 Molton Brown’s Pink Pepperpod Eau de Toilette is priced at £39.00 and is available here. what couldn’t you love about a fragrance that contains ginger, cedar, patchouli, nutmeg and pepper.. sounds glorious..